9 Surprising Exercises for Improving Brain Function! - Something New Everyday! Home analytical effective skills Success 9 Surprising Exercises for Improving Brain Function! 9 Surprising Exercises for Improving Brain Function! Just as exercise improves our muscle’s fitness, endurance, and ability, neurobic exercises improve memory retention, ability to multitask, and protects the brain from the damages of aging. The goal of these exercises is to change our way of thinking, to force us to act or think in new ways and to expose us to situations and feelings we have not yet come across. It may sound complex and difficult to perform, but they can be done very easily, and we've collected 9 tips and exercises for you to take on today. Once you start doing these exercises regularly, the nerve cells in your brain will begin to undergo processes that will improve its overall functioning, protect it from diseases dementia, and significantly improve the quality of your life. 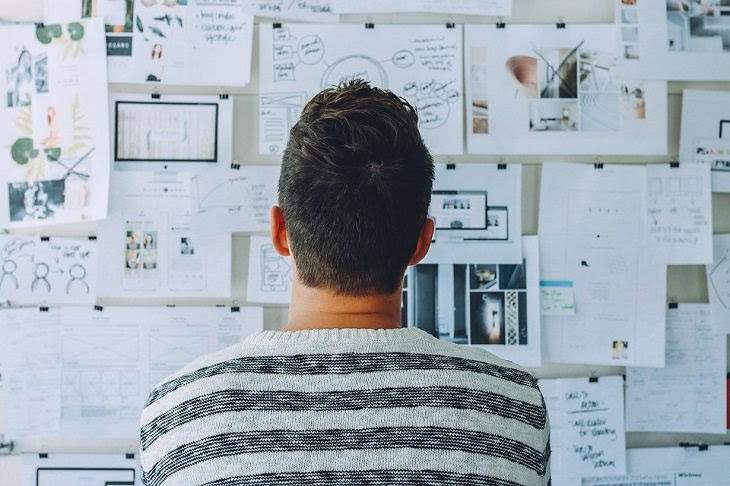 Beyond the strengthening and training that new information provides to the brain, we can try to challenge it with various exercises that improve our ability to concentrate, move quickly between similar but different tasks, and deal with confusing situations. 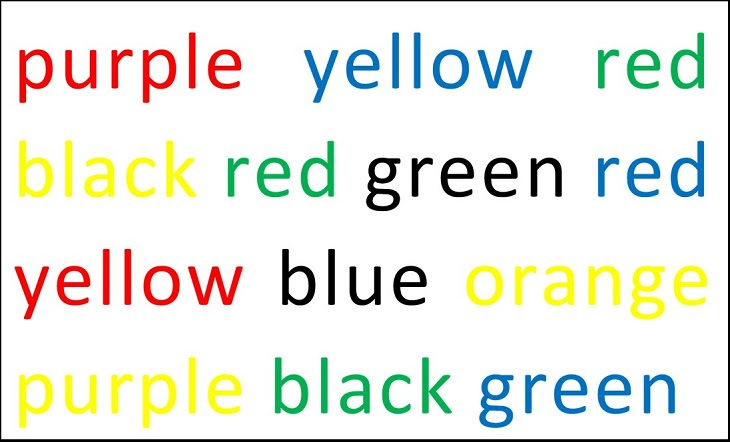 Sample exercise: In the picture below, there is a list of colors that are not the same color of the word written. Start from the top right corner and say the name of the color that’s written and not the color you see. When you reach the end of the list, read it again from the beginning, only this time, say the color of the written word, not the word itself. At first, it will be very difficult for you to do this, but after some practice, you will find that your brain has succeeded in adapting its thinking and has gained significant training. For this exercise, you need two sheets of paper, or one large piece, and two pens or pencils that you are comfortable holding. Now try drawing two different geometrical shapes on both pages with both hands. If this is too difficult you can try to draw the same shape, and if the exercise is too easy, you can try to write different letters. The important thing is to ensure that you use both hands simultaneously, as this develops complex thinking, improves the ability to handle multitasking, and encourages the activity of both hemispheres of the brain. If you and your children or your partner want to spend quality time together while strengthening your brain, just take out a favorite book and get ready to train. Decide how much you’ll read (a page, two pages, a chapter etc.) and then start reading the book to your children or partner. Once you finish, switch roles, and that way you’ll be able to enjoy a neurobic exercise that contains two important actions; this is the act of reading aloud, forcing you to pronounce complex words, to read every word without just skimming, and to say aloud the information that your brain has just absorbed. 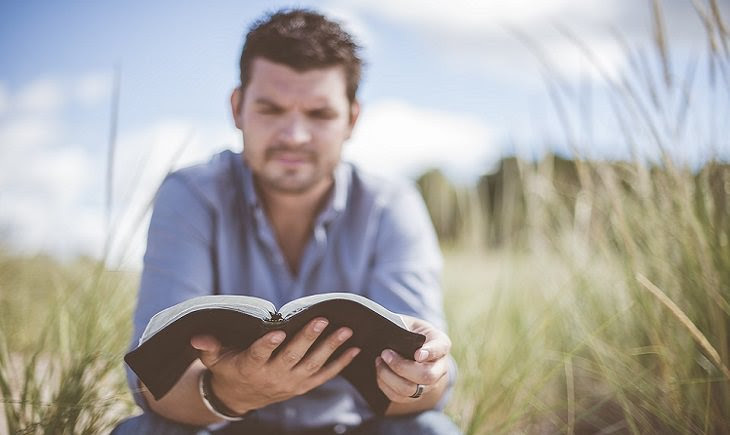 Listening to another person reading a story is also an activity that strengthens thinking because information obtained through the ears stimulates imagination and thought in a way which is different from that of information received through the eyes. If you want to simply enjoy the benefits of listening to stories you can purchase audiobooks from the Internet. Additionally, some audiobooks are available for free. Scattered number tables are another visual way to easily train your mind and brain and you can make them yourself or even ask your children or grandchildren to help you prepare a few. 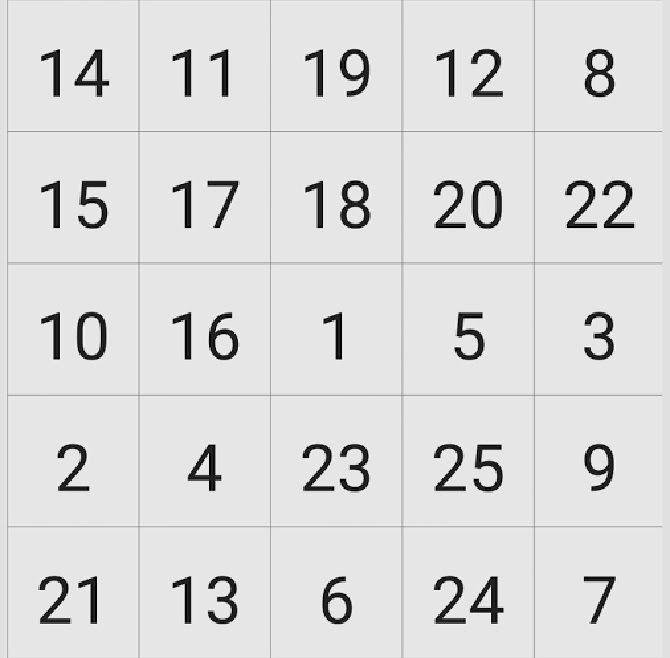 The purpose of this exercise is very simple: find the number 1 and then look for all the other numbers in ascending order up to the number of squares in each table - in the example below you need to look for 1- 25. Focus your eyes on each number and don’t use your fingers to guide you. This exercise focuses on improving our brain's ability to absorb and process the data we receive from our peripheral vision. Not every brain strengthening exercise session needs to be at a time specifically set aside for it. Even going out to a family meal can be a great opportunity to break routine and go for a light neurobic workout. For example, the next time you go to an Asian restaurant, try using chopsticks instead of a knife and fork as you would normally do. Beyond the fact that this is a new action that will challenge you to concentrate and use both senses of touch and sight in an unfamiliar way, it will also help you concentrate more on your food and thus prevent overeating. You can also use chopsticks at home to eat everything from olives to cake. One of the most common recommendations for neurobiological training is also one of the simplest, and studies by Harvard University, the US Department of Health, and the Mayo Clinic have proven the benefits of meditation many times. Even global corporations Google, Nike, and Apple offer meditation classes and exercises for employees at all levels of the company. The reason for its effectiveness is that our brain is constantly working and generates about 70,000 thoughts a day, the great part of which repeat themselves daily. The mental cleansing and relaxation that meditation provides us with help reduce the mental load our brain faces, therefore improving its long-term functioning along with other benefits such as improving concentration, mood, memory, and many other important functions. Sometimes it takes our brain time to jump from task to task quickly and perform various actions without getting confused when we haven’t given it substantial “resting time”. The time our brain needs to go from task to task can be significantly reduced and our concentration can be enhanced by simultaneously gesturing with both hands. For example: Try making a “V” sign with your left hand and then create an OK with your right hand as shown in the picture. Now comes the challenging part: try replacing the V with the OK sign and vice versa at exactly the same time. This action is ly to be very difficult, but the longer you work at it and strengthen your brain, the easier it will become. Some may argue that modern technology is to blame for us not exercising our brains as much as we did in the past, but this is not entirely true. For example, there are a number of free smartphone apps that can help you learn new information on a variety of topics, practice new languages, learn the history of the world and drill your memory. All these are great and fun ways to do a neurobic workout and they will improve much more than just your thinking ability. We recommend you perform this next exercise when you're watching TV alone. Mute your television and just watch what’s happening on screen. Keep watching and try to understand what’s going on and how the plot is progressing just based on the visual information you are taking in. Once the time you’ve set for this exercise has passed, go back to watching the movie or show with the volume on as you would normally. Check if you guessed the plot correctly. If you were wrong, try to think of why, and how you can hit the nail on the head the next time around.